The Moon rules the part of expression in our relationships. The positioning of this star indicates how we deal with our deepest emotions. 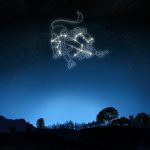 If your natal chart says you have Moon in Leo, learn more. Moon in Leo is ruled by element fire (just as Aries and Sagittarius) and the Sun. The combination of these stars (the highest male energy with the highest female energy) makes the person with Moon in Leo very intense and impulsive, but different from Moon in Aries. While Moon in Aries acts on the impulse and leave the place, Moon in Leo has a need for approval. They feel they have to say what they think and want people to accept their opinions, one way or another. People who have Moon in Leo may feel motivated by their own ego to act that way. But, the truth is they can hide a huge insecurity behind this supposed arrogance. What they really want is to be cherished and sure that they are loved and desired. Yes, as we have said before, Leo is a sign with a great and warm heart and that takes very good care of who is related. However, the need to be accepted makes them demand the same kind of affection in return. And they also care too much about what others think. Moon in Leo has to be a little calm to react to what they listen because they are the kind of people who easily get irritated with any criticism, even if it is positive. Authoritarianism and imposition can undermine your relationships. So think first and then make the necessary arrangements. The energy of fire makes these people easy and very willing to lead. In the professional field, they are excellent managers and they command a team well. Because despite the hidden insecurity, Moon in Leo becomes safe when speaking and this positively influences those around them. If astrology was a sport, Moon in Leo would be a great trainer. The words spoken by them sound different and work as fuel. This Moon brings a great charisma and allied with determination and strength, can go very far. Especially when there is a well-defined purpose. Those people has a very firm sense of justice within, likes to defend their interests, but not only their own. They are unable to treat others differently and this only brings gains in an intimate relationship. Because they are loyal to their character, they will hardly put you in a position where you feel wronged. If they love you, they will grudge no pains to show you this – and in many ways! This Moon is very creative and likes to surprise and entertain the partner. They are funny, have good humor and love storytelling. Boredom is a word that does not exist in a Moon in Leo relationship. As you can imagine, their sexuality is very intense and seductive. Generosity is another highlight in a relationship with these people. Imagine a bed where the two are king and queen, entitled to plenty of plenty for both. Pleasure is what you will not miss!